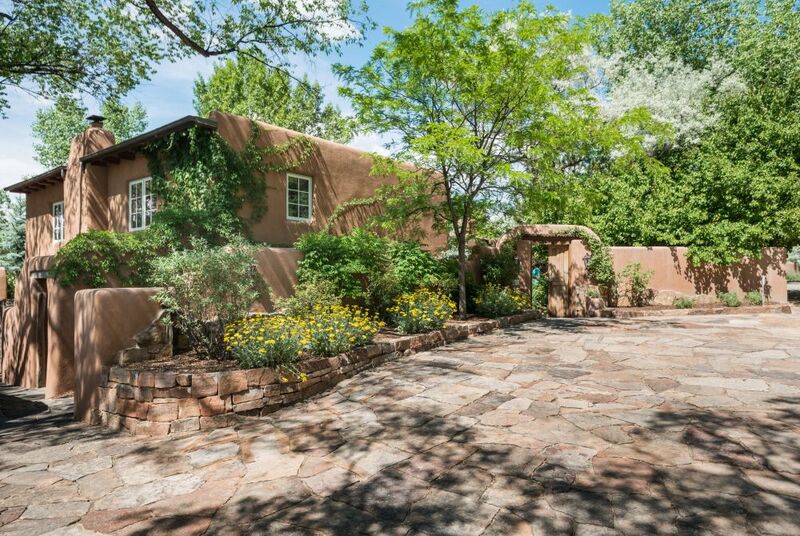 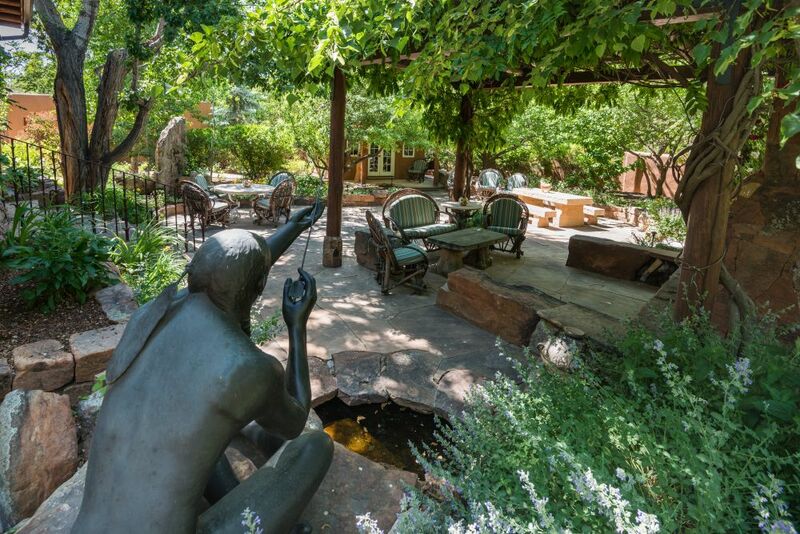 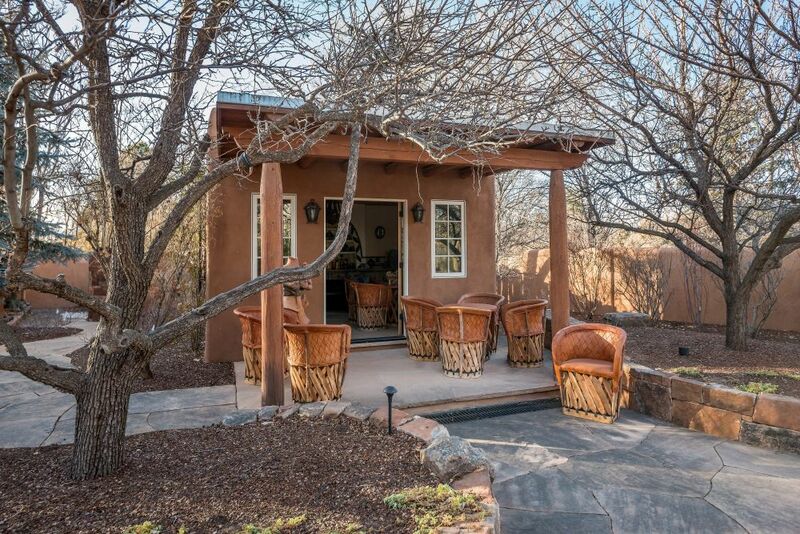 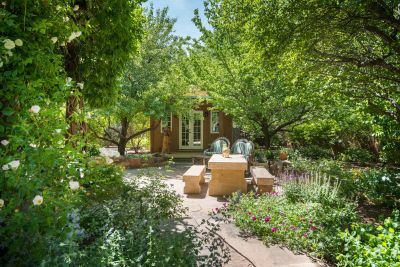 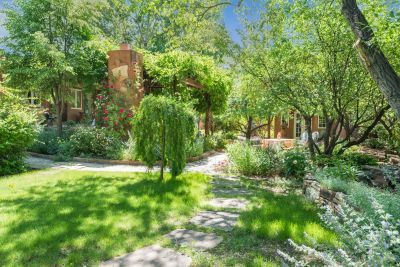 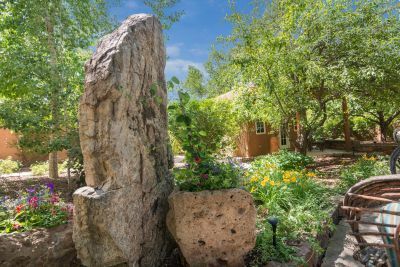 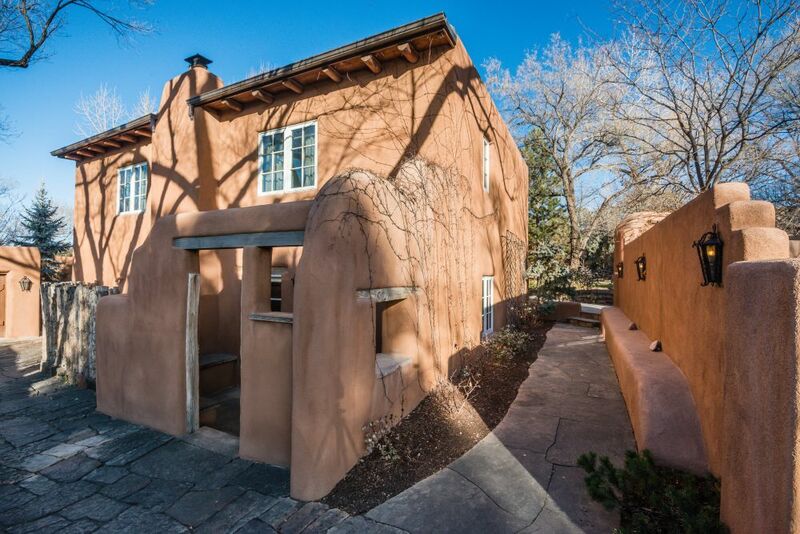 JEWEL IN THE CROWN OF SANTA FE'S HISTORIC EASTSIDE. 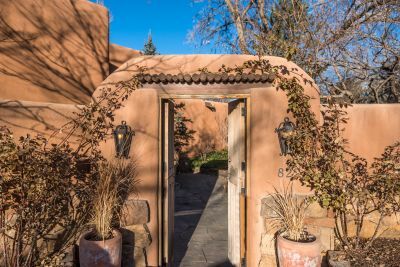 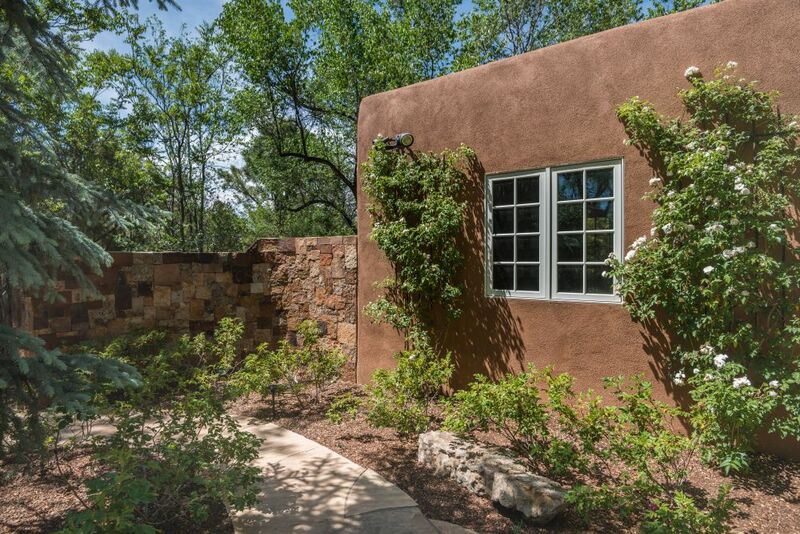 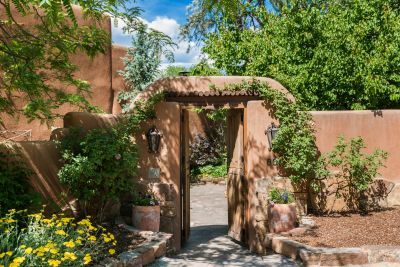 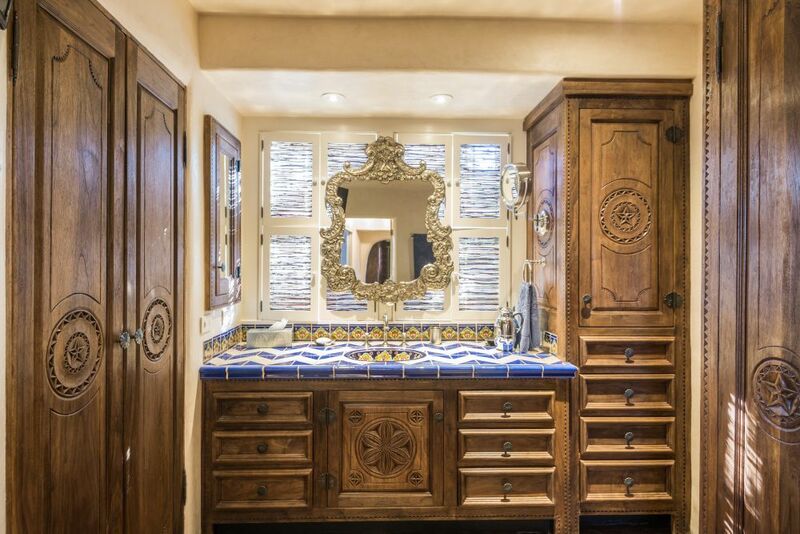 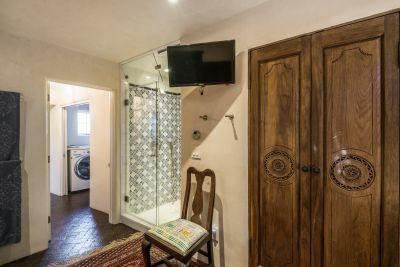 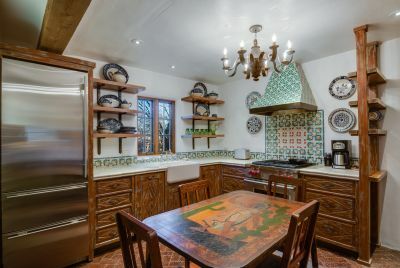 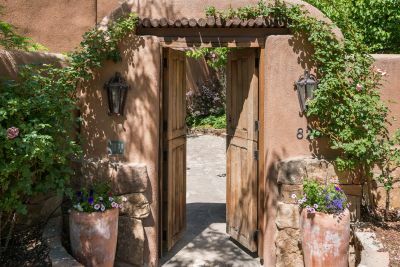 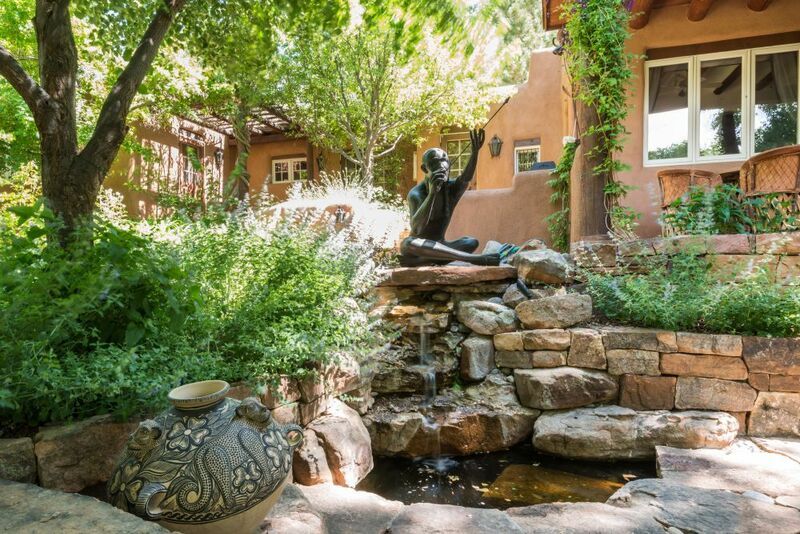 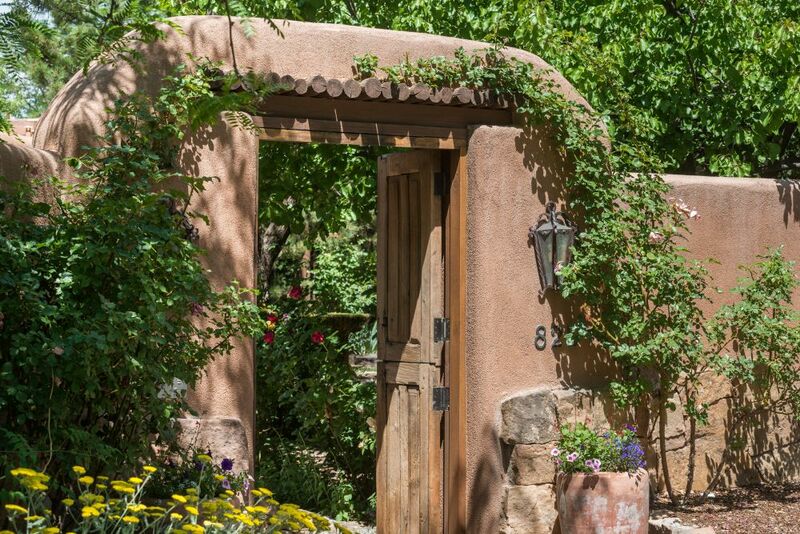 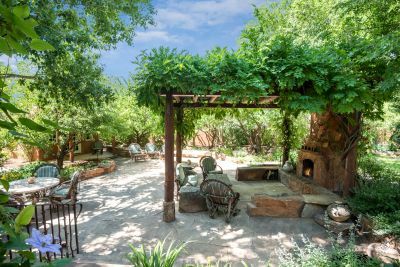 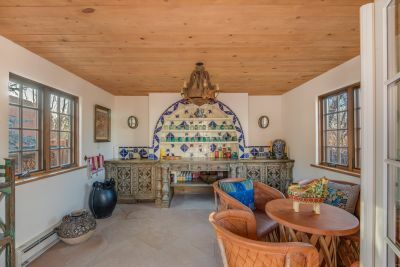 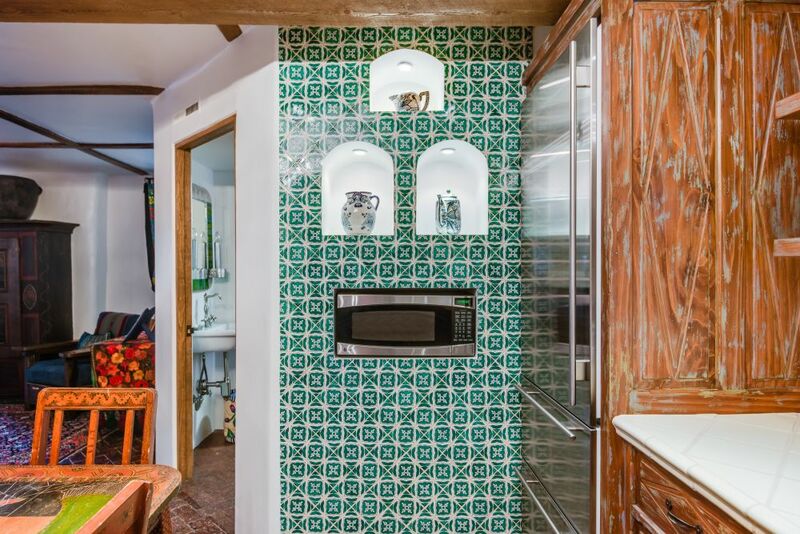 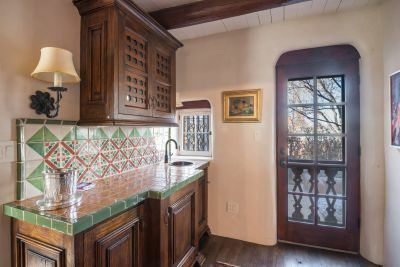 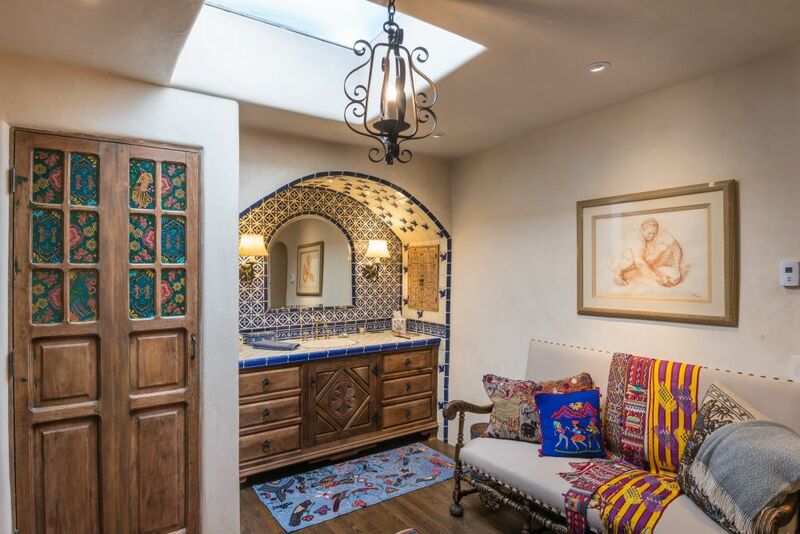 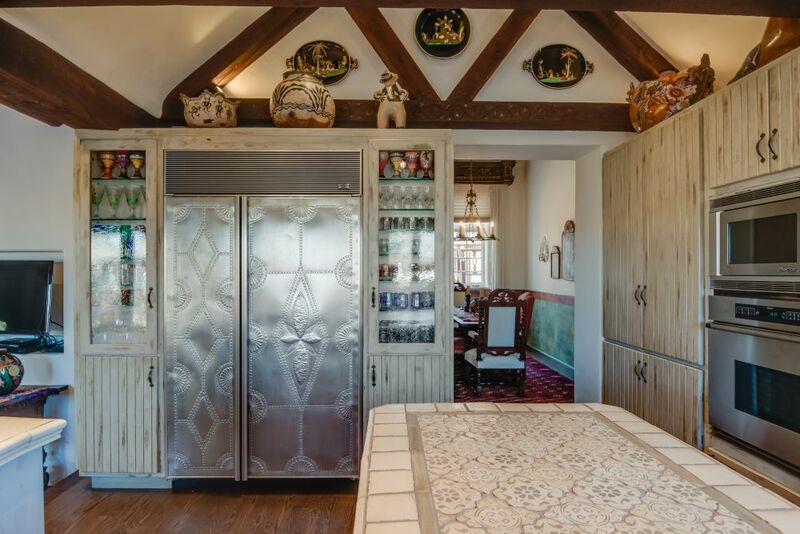 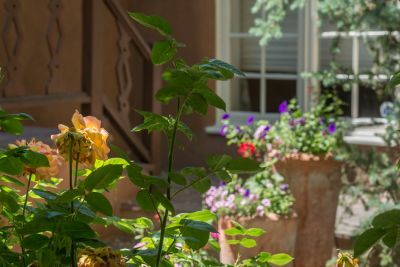 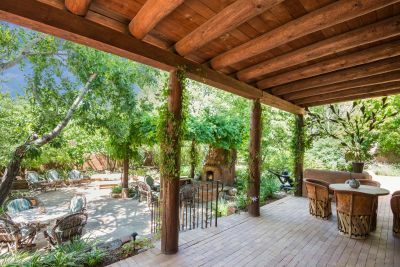 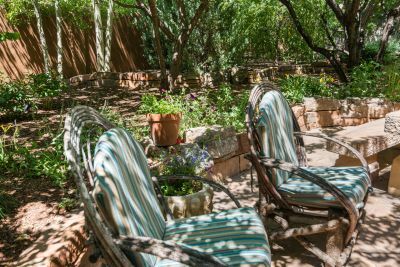 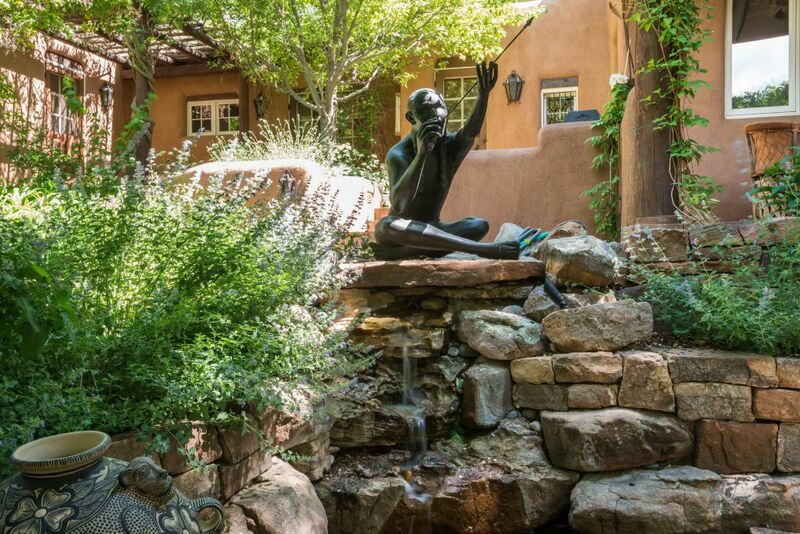 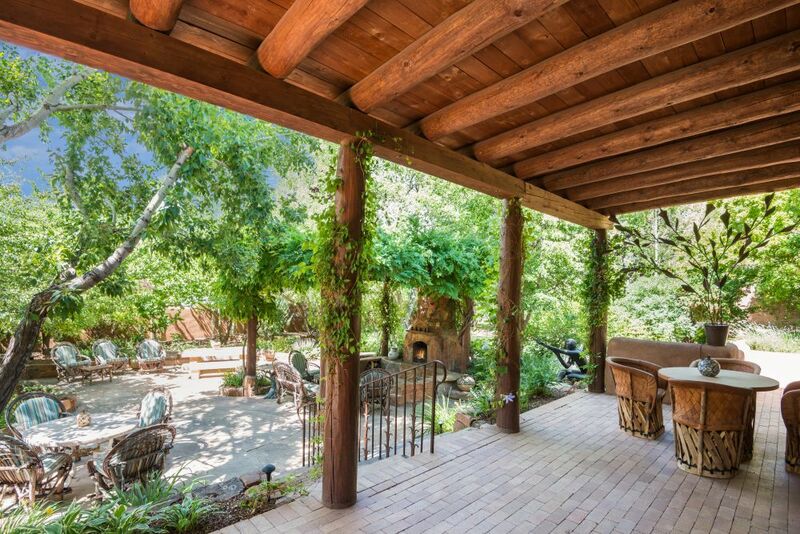 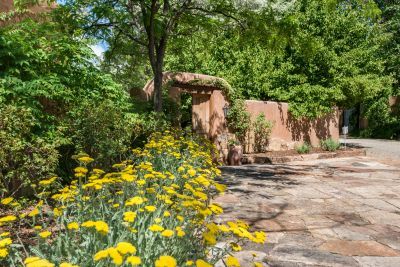 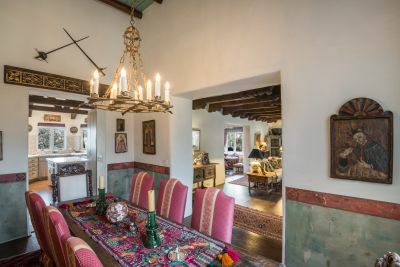 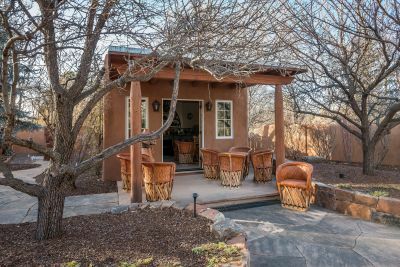 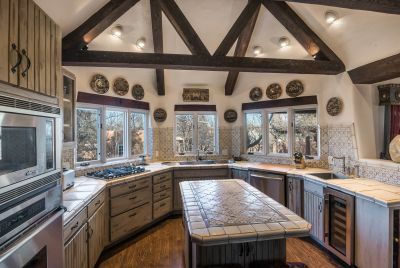 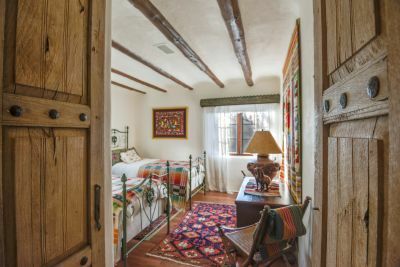 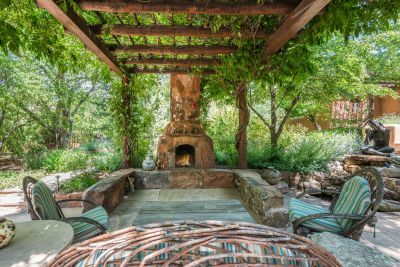 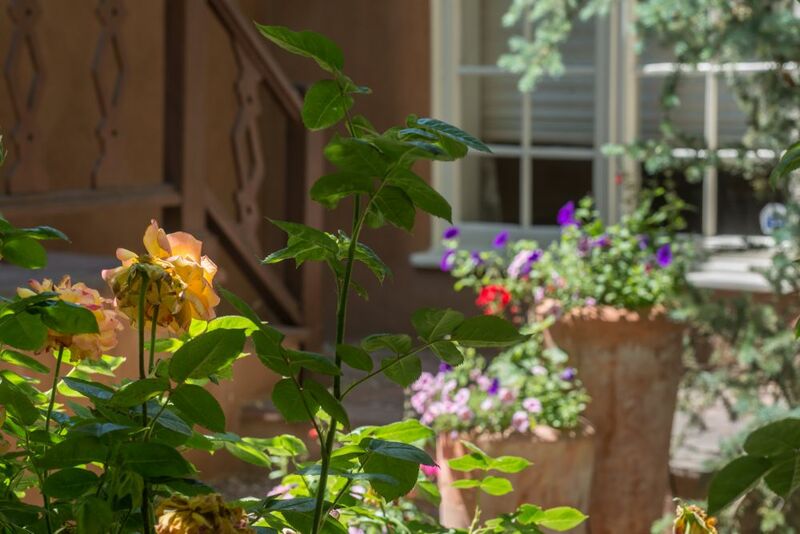 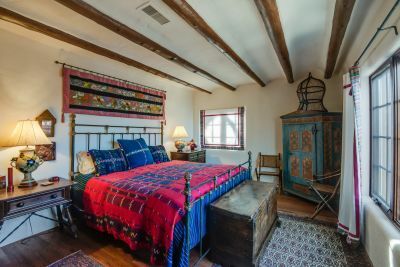 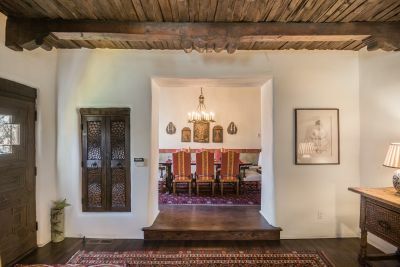 Here provenance and beauty meet with the finest appointments and hand crafted elements reflecting the essence of eastside living with mostly adobe construction and an authentic, graceful feel. 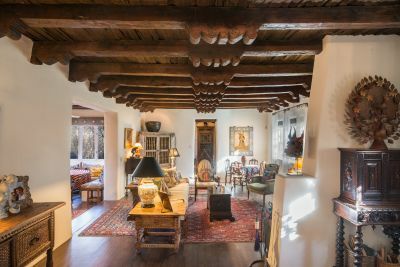 This property was the home of the painter Andrew Dasburg and remained in his family until the early 1980's. 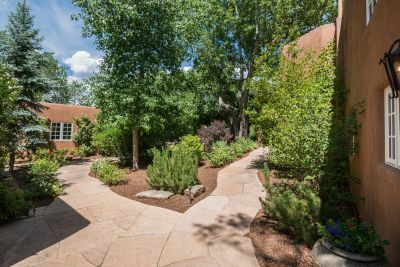 The home has been renovated and is an outstanding example of an Eastside property at its pinnacle. 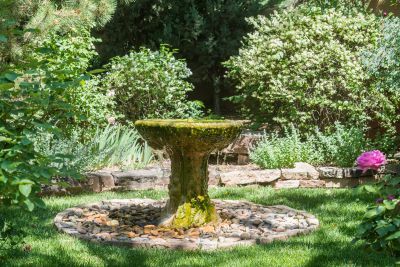 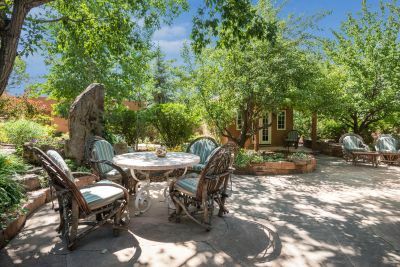 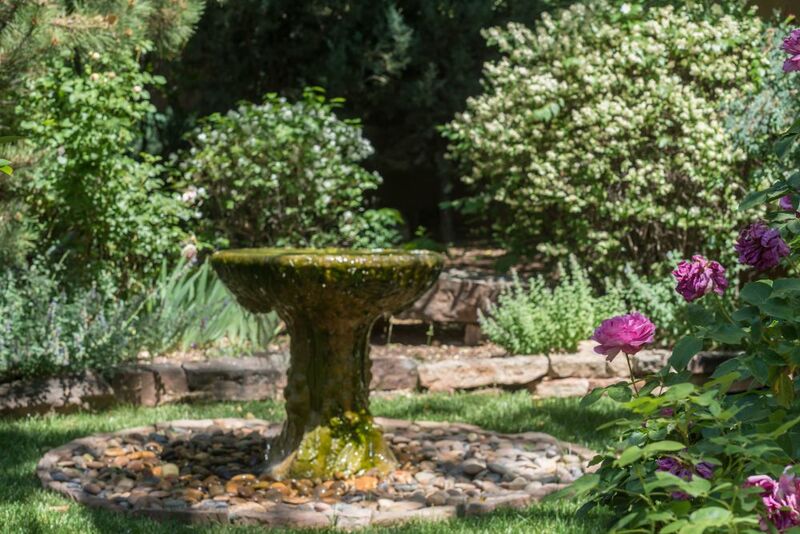 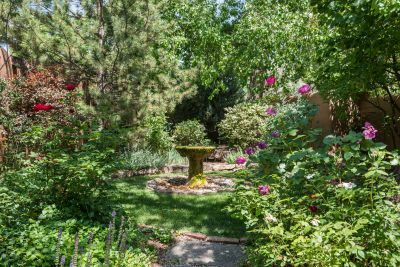 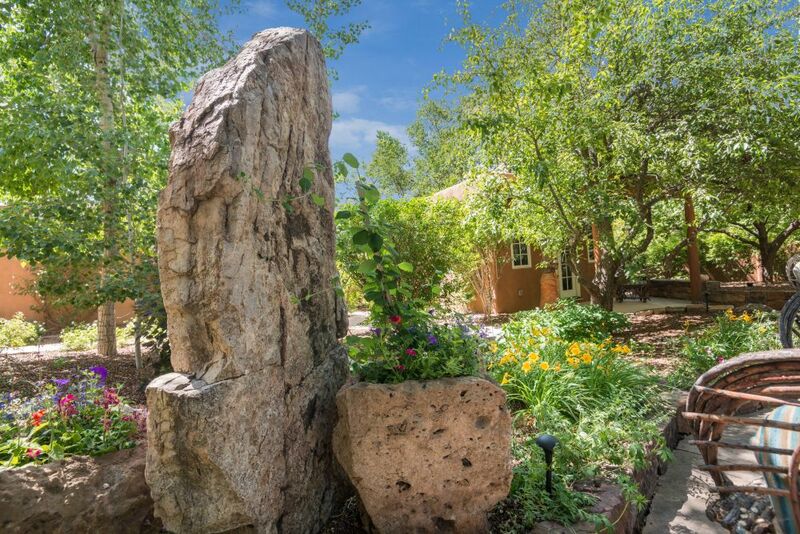 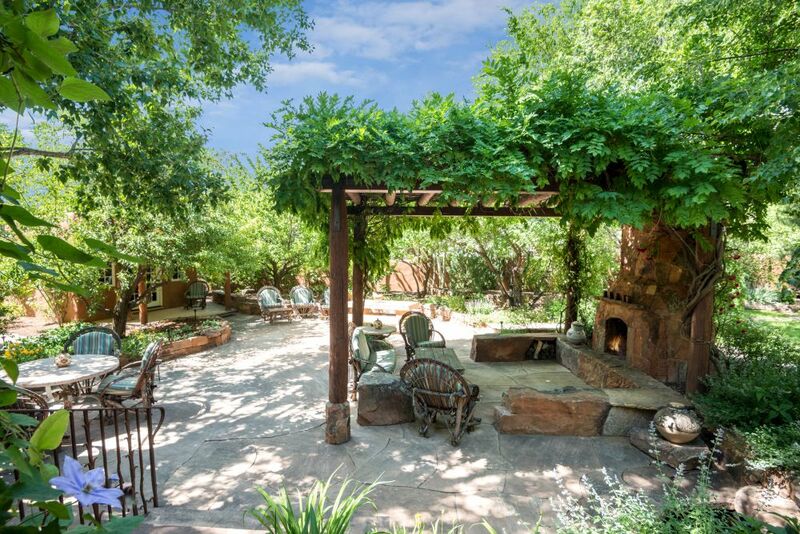 The grounds are superb; cultivated, private and spacious at .461 of an acre. 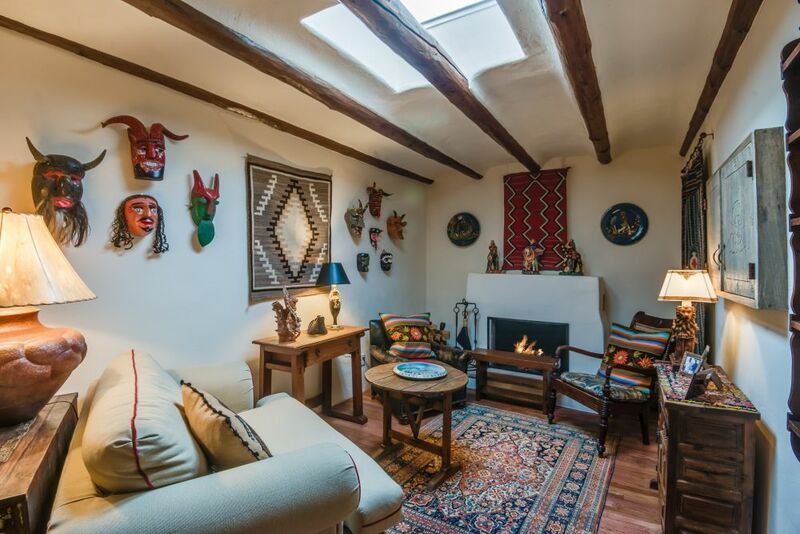 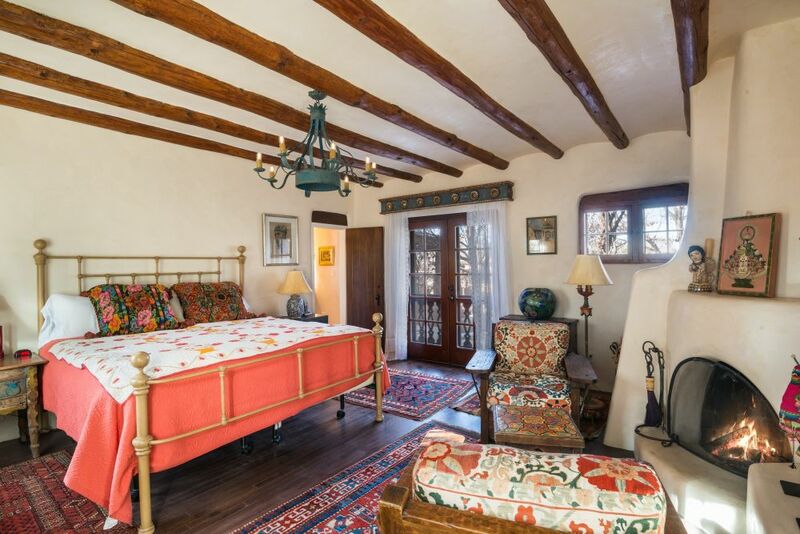 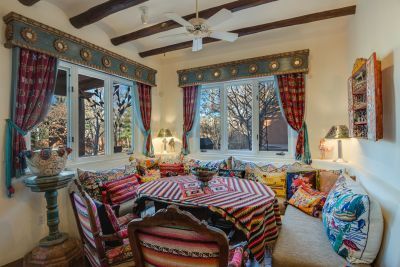 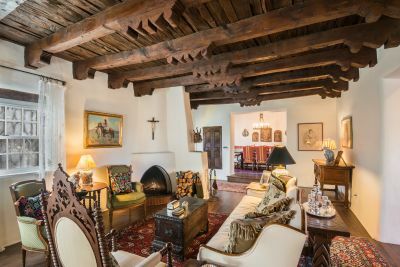 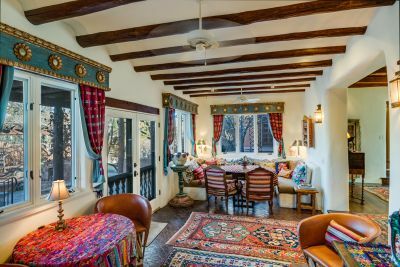 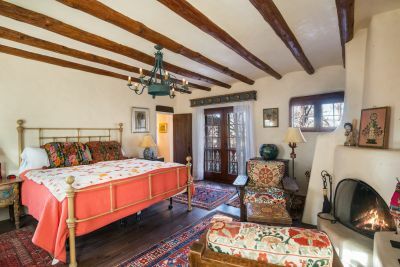 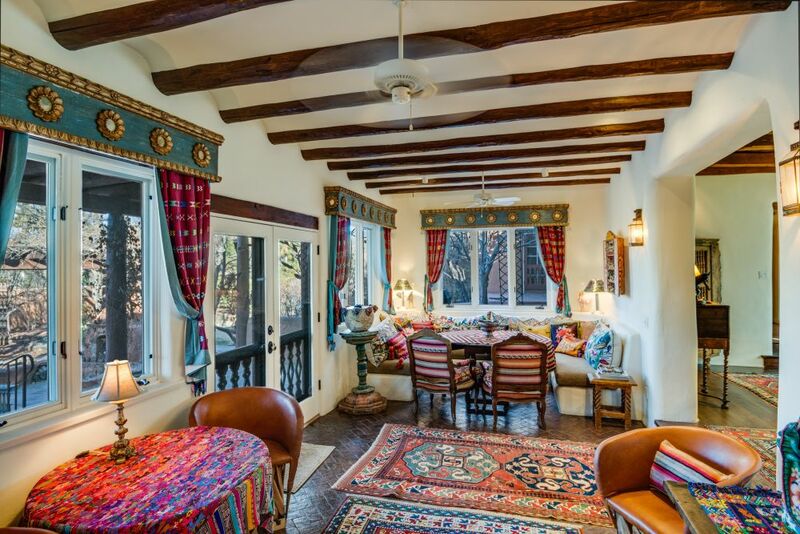 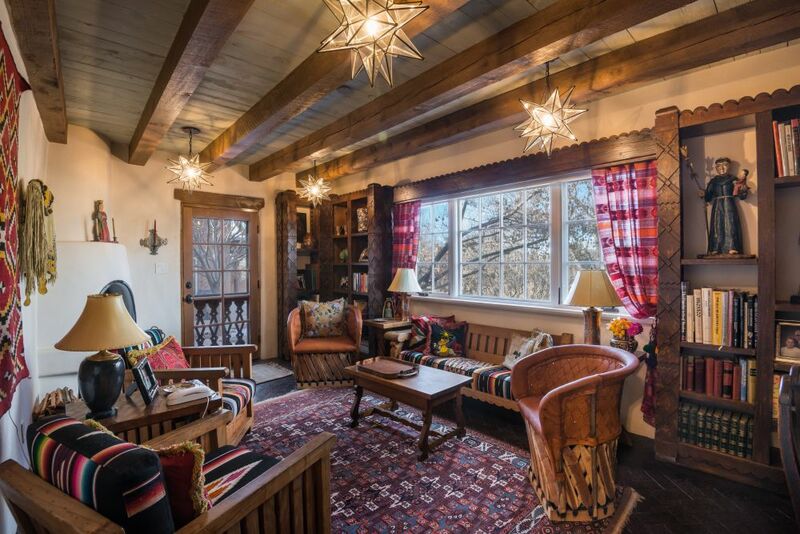 It is believed that the distinguished living room ceiling in the main house came from a 200 year old Taos church. The Estate consists of a main house, 2 guest houses and a free-standing cabana for card games, parties, art projects. 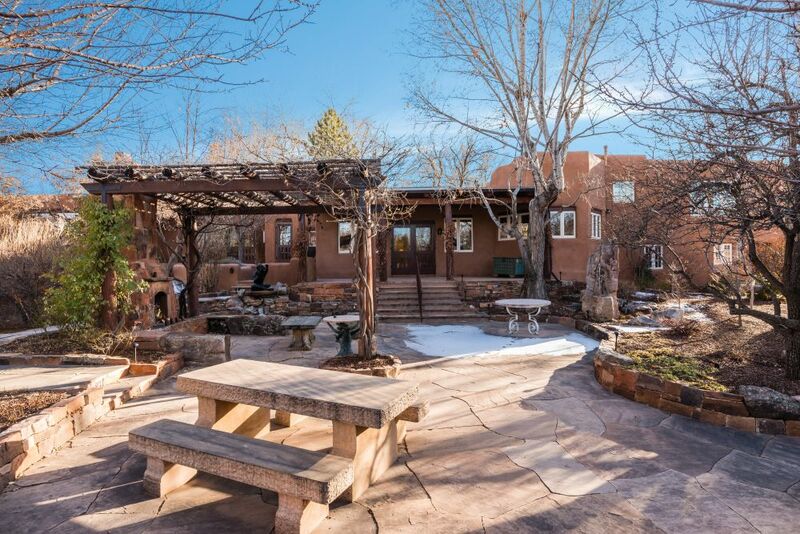 1 car good sized garage plus generous off-street parking. 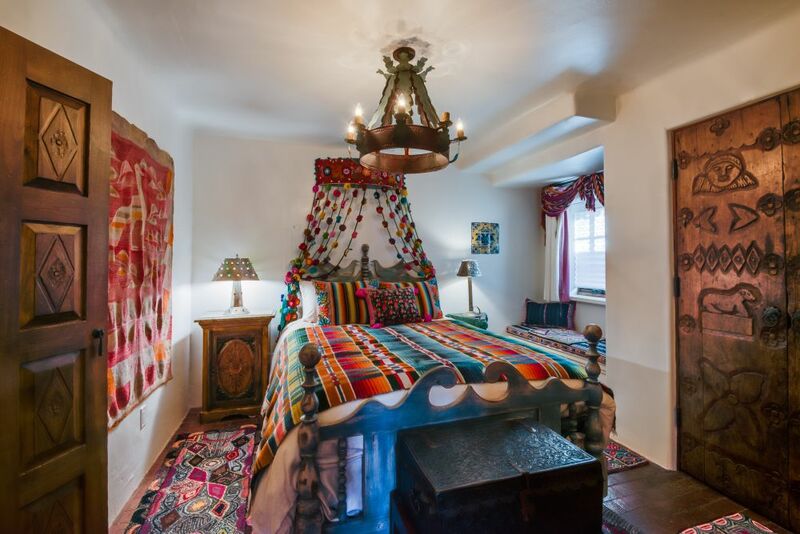 The photos simply are unable to capture the majesty and comfort of this property. Here you are flying First Class.